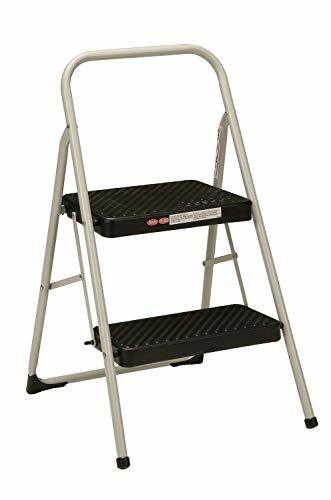 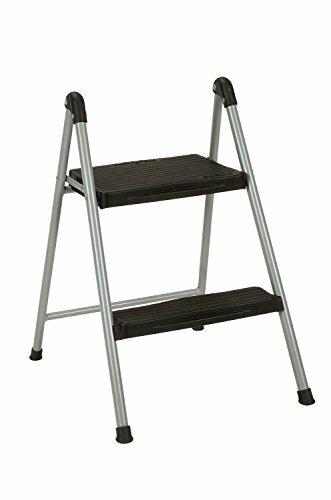 Gain safe and easy access to items on closet shelves and atop kitchen cabinets with this 2-Step Steel Utility Ladder from Buffalo Tools. 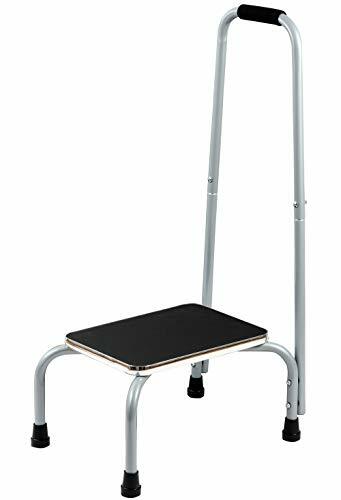 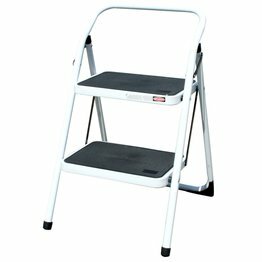 The ladder is great for home upkeep and renovation projects including painting, changing light bulbs, installing wall hangings and organizing closets. 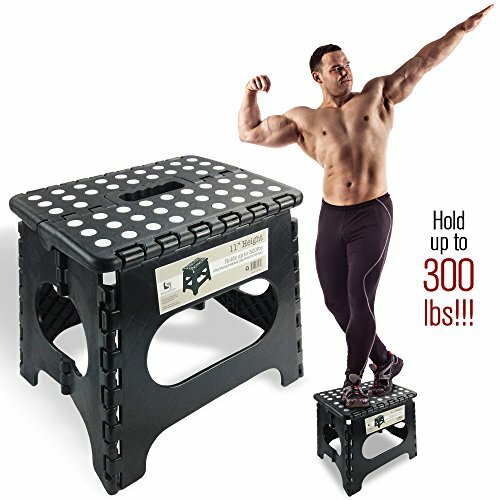 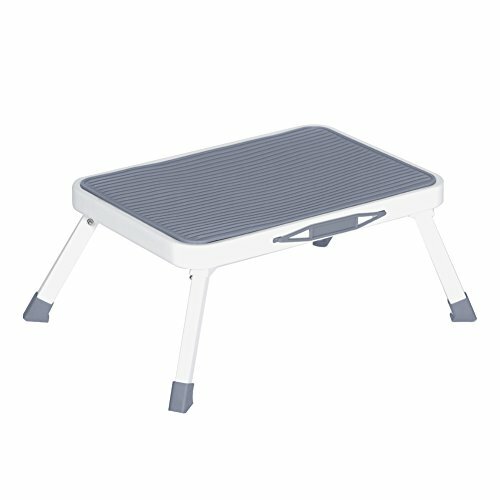 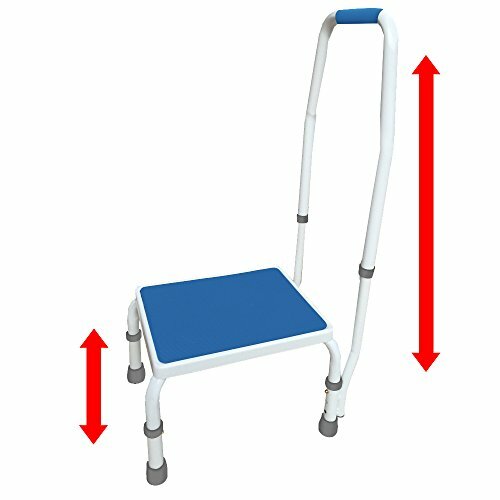 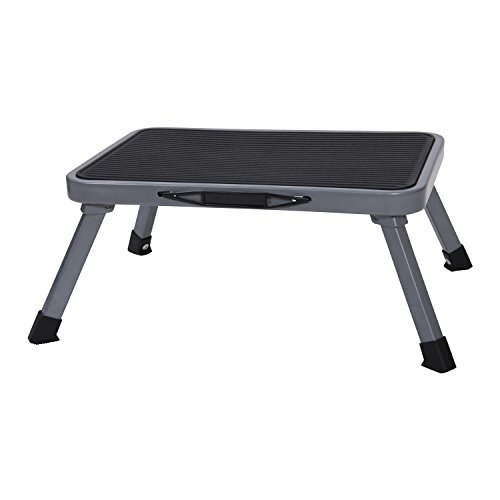 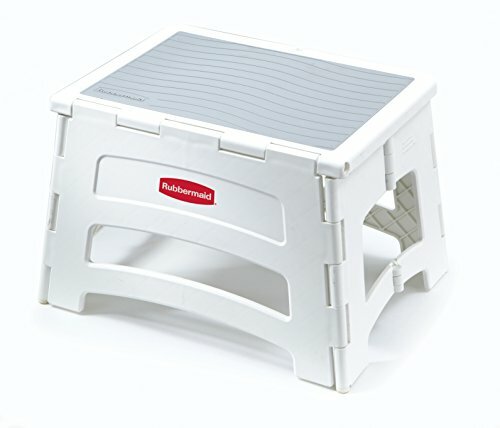 Its compact, foldaway size allows it to be easily stored, and the extra wide steps are covered in a textured pattern for safe, secure footing. 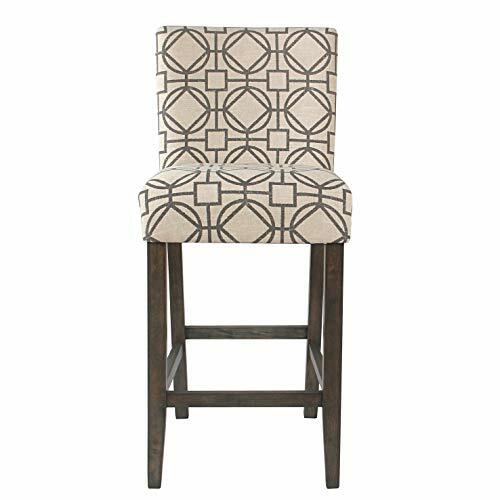 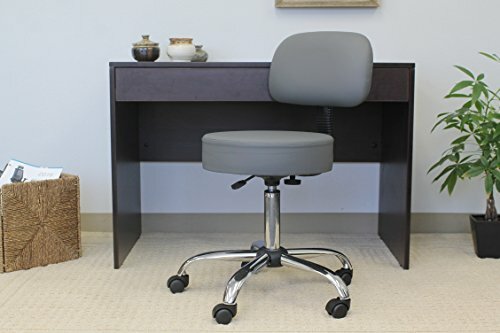 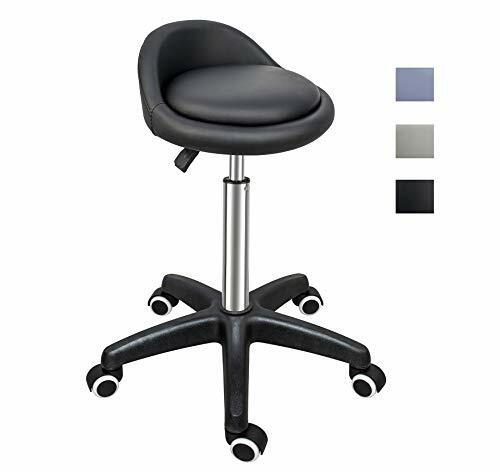 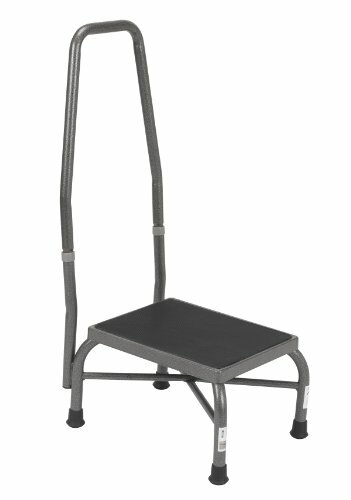 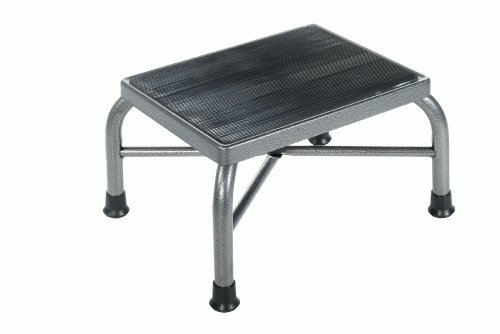 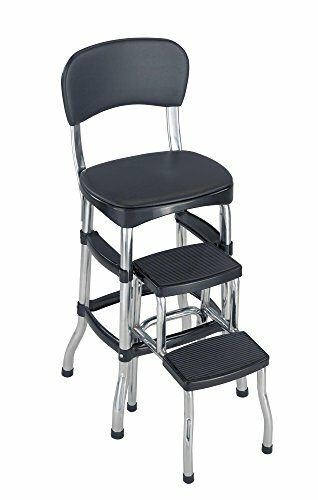 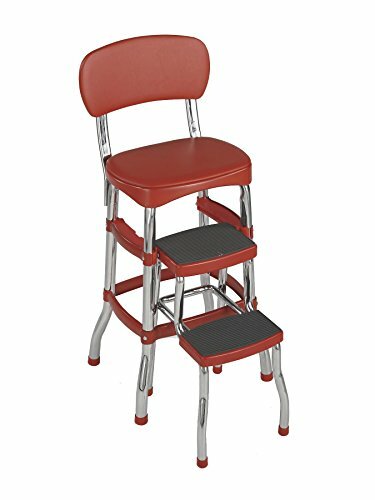 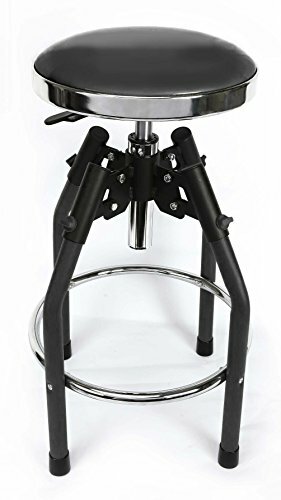 The stool's steel frame features a durable, powder-coat finish to prevent scratches and rust, ensuring a quality design to last for years.